For companies to grow and succeed, the old metrics of customer loyalty and customer satisfaction are no longer a good enough mantra. New and existing clients now need and expect to be engaged at almost every level through the customer journey. As such, the number of ‘touch’ points has becoming increasingly important to provide a ‘great client experience’ with guaranteed communication on a regular basis. 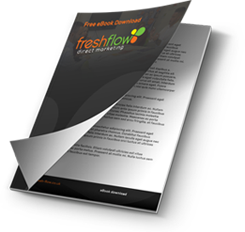 When working with Fresh Flow, you’ll notice our ‘together’ engagement, where customers are heard and involved with numerous open conversation lines and timely contact points. With strong relationships and an honest approach, you’ll know where you stand, and your expectations will be managed and surpassed!